Syria conflict escalated when chemical weapon was used in Douma on April 7.
WHO information: 70 casualties, 500 injured. U.S. State Department information: 85 casualties. International community accuses Assad’s Government. Syria and Russia claim there was no chemical attack, the evidence was faked by the USA and they are ready to support OPCW. UNSC held meeting on Syria conflict twice. Russia vetoed the U.S. resolution, it was rejected. Trump said Washington will react to chemical attack, but Russia and Iran pose danger. He announced a missile attack today. 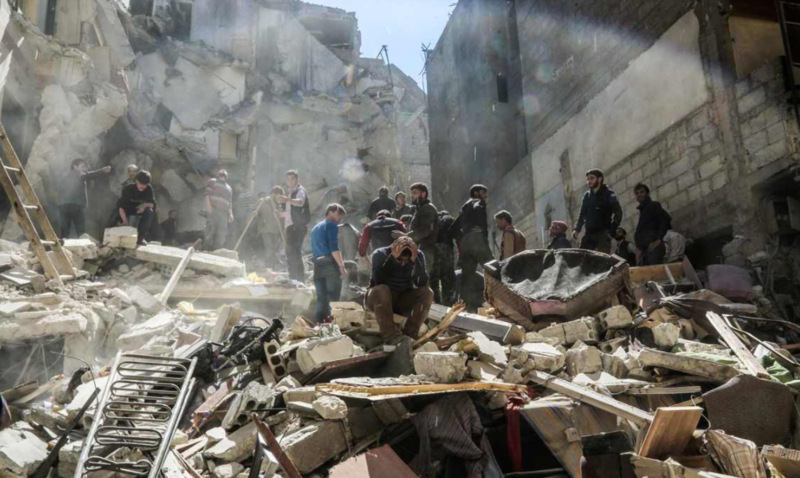 Russia regarded claim as an attempt to destroy evidence in Douma. Law enforcers’ information: chemical weapon was used in Syria more than 200 times.